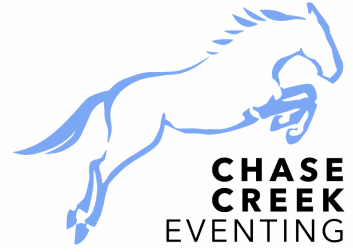 Mustang Powder (Chase Creek) is running Back to Back horse trials over the long weekend in May 19 to 22nd, 2017. 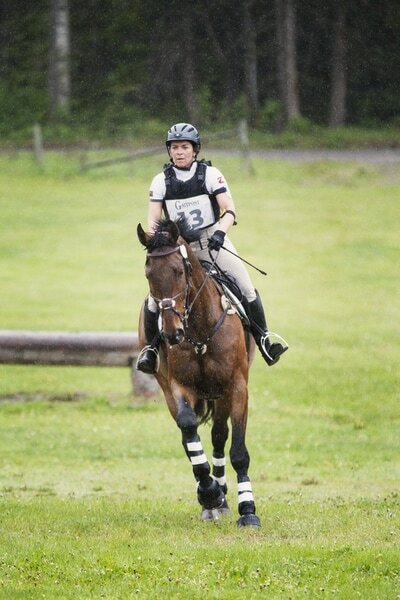 It is basically two complete horse trials run over 4 days. We did this format back in the 90’s and have revived it again. Why? Because it is a great concept. 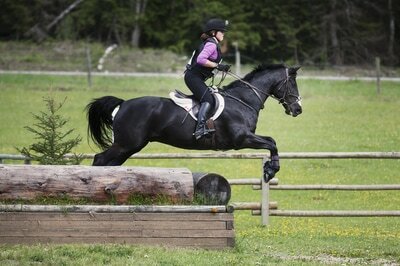 Let’s face it – Horse Trials (eventing) is a great sport and many people fall in love with it. However it is also terribly un-user-friendly. You drive big distances and pay big entry fees and basically get one kick-at-the-cat. 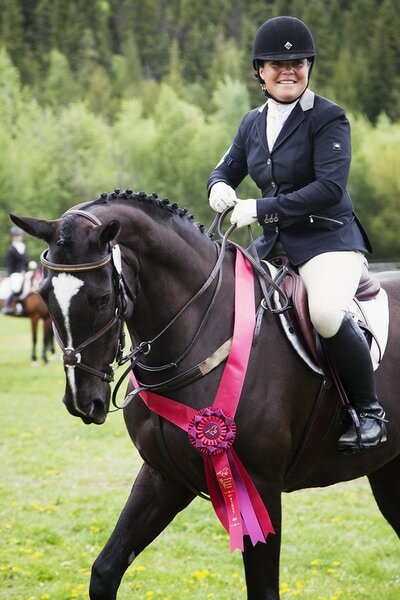 One mistake in cross country or show jumping and you are out of the ribbons. Unlike show jumping shows, you don’t have another class later in the day or tomorrow, in which to redeem yourself. It is a soul-destroying sport, and if it wasn’t so much fun – nobody would do it. The trip over the Coquihalla or Rogers Pass is a bit of a journey. At Mustang Powder Horse trials you get a lot more action and fun as a reward for doing this trip. Show jumping shows have gone this way many years ago – the 2 or 3 day jumper show is a thing of the past. Competitors ‘settle in’ at Thunderbird or Spruce Meadows and spend a week or two. The strenuousness of eventing precludes us from doing weeklong competitions, but we can certainly do two horse trials in succession. Attaining two ‘qualifying’ events is another benefit of attending the Back to back event as we are continually trying to get a successful event record to upgrade to higher levels. A back to back event allows us to get two qualifying score in one long weekend. Day one is dressage and show jumping. Day two is cross-country – first event completed, awards are presented. On the evening of day two the cross-country courses will be totally changed and re-flagged (actually not totally changed – there may be a couple fences that remain the same). Day three is dressage with a new test, and show jumping with a different course from the first event. The final day is cross-country, early in the day so that competitors can leave and make it home that night. One might argue that two events in succession is too much pounding on the horses. This is wrong. High speeds and long distances is what breaks horses down. The Preliminary horses will have a reduced cross country speed in the first event – 475 meters per minute. In the second event their cross-country will be at 520 mpm. The distances for both events will be on the short side. For a properly prepared horse the ‘four days at Mustang’ will not be overly strenuous. We advise people NOT to upgrade at this competition, since Chase Creek courses are on the challenging side. Also, it is not our intention to have horses enter one level at the first event and upgrade at the second - don’t do that! We hope you come to Mustang Powder Horse trials – we are offering Intermediate down to Entry divisions. The event is Sponsored by Mustang Powder Lodge - a cat skiing (powder skiing) operation near Revelstoke BC. 1) Q: Can I just enter one event? 2) Q: If I get a qualifying score on both events, will this count as two qualifying scores? 3) Q: How long a drive is it to this event? A: With a horse trailer it is 5 hours from Vancouver and 4 hours from the USA border at Sumas (so about 7 hours from Seattle area). It is 7 hours from the Calgary area. 5) Q: Is the Coquihalla really a highway thru Hell? A: No, that TV show is stupid. Except for the last half hour, the drive to this event is on 4-lane freeway from Vancouver and Seattle. 6) Q: Are the cross-country courses as tough as we hear?